You may have noticed that your engine is starting to get strange noises from the valve cover and you have lost power. These things can actually be caused by sludge inside your engine. You may see a gooey oily substance all over the engine when the valve cover is removed. That sludge is formed over time as the engine oil breaks down. That usually happens if low-quality engine oil is used. As the low-quality oil is heated frequently by the engine heat and stirred continuously as the engine is running, the oil tends to break down which forms into a gooey substance. 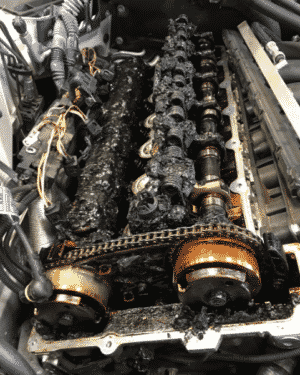 To tackle that, there are multiple engine sludge removal tips and ways that many opt for as they experience too much engine sludge starting to build on the engine. What exactly is engine sludge? The sludge you see all inside of your engine when the head is exposed is a combination of a few things your car runs by. The sludge is a mixture of engine oil that has been oxidized, along with the dirt and soot found in the atmospheric air which the engine takes in for combustion. Water vapors make the sludge moist and sometimes if there is a coolant leak from the inside, the coolant is also mixed in that sludge, making the substance gooey. If you change the engine oil and the oil filter along with that in a timely manner, your engine will be better protected against this sludge buildup. Since the only way to tell if the engine has gotten dirty with all the sludge, the valve cover needs to get removed. But that’s something not every car owner can do by themselves. But luckily, there are some signs and symptoms that you can look for, that will tell you about whether your engine has sludge build up or not. Usually, when your engine develops sludge, most of it can be seen right below the head near the tappet area. The sludge causes the tappets and its hydraulic lifters to work noisily, which can be heard in the form of rapid clicking or ticking. That is because there isn’t enough oil there to lubricate the springs and the tappets because there is too much of the sludge taking the place. The tappets in the engine are controlling the movement of the air intake and exhaust valves and they are moving up and down very quickly which is why most of the sludge can be seen in the area. The oil breaks down quickly as there is a lot of heat and mixing there. Removing the engine sludge will make the noise go away and allow the tappets and springs to work smoothly. That is because the sludge causes the oil to slow down when circulating. That makes the oil lose its pressure and your oil light comes on. 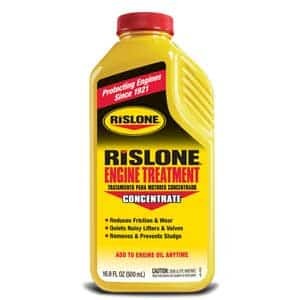 This creates a problem for the engine because the engine will not properly get the oil into areas where it is needed. The oil pressure can also be lost at the oil filter. If the oil filter gets choked, oil will slow down while passing through the oil filter before getting into the engine. Under this condition, it is better to get the engine sludge removed as soon as possible to avoid further problems. There are actually easy sludge removal techniques which are more of routine maintenance of the car rather than engine sludge removal tips. But first you have to understand that old engine sludge can become really hard like stone and the only way to get it out completely is to take the engine apart and clean it carefully. However, there are some tips that you can do to get light engine sludge away and prevent it from happening. Remember that even if you use a product like the Liqui Moly, the sludge will become loose in the engine oil and to get these away, you have to do several oil changes to get the dirt out of the oil pan. As I said earlier, I do really recommend to remove engine sludge the manual way with taking the engine apart and clean it by hand to not get any dirt inside your engine where you do not want it! What if the head gasket is bad? A damaged gasket will allow the oil to leak out of the head and also allow the dirt and dust to get inside. This will make the sludge build up faster. Before changing the engine oil or getting a new oil filter, its best to get the gasket changed. While getting the gasket changed, you can ask your mechanic to clean the sludge over the tappet and springs manually, getting the engine extra clean. Otherwise, usually, compressed air is used to force out the oil and sludge from the engine, cleaning it in the process. Do not wait for your engine oil to turn black before changing it. That is when the engine loses its original properties and starts to break down, giving it that black color. If you change your engine oil according to your car manufacturer’s instructions, that will ensure a longer life for your engine as well as keep the sludge from forming inside. With that, it is wise to always change the oil filter when changing the oil because if you don’t, the dirty oil residue in the old oil filter will mix with the new oil. Even though the quantity of the old oil would be minimal, that dirty oil will eventually ruin the new one as well.